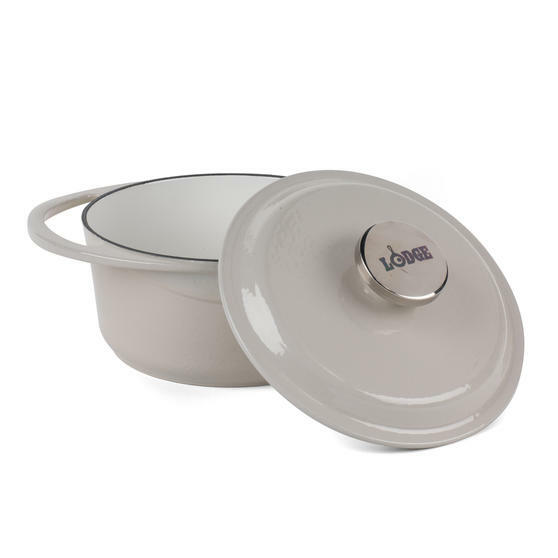 Made using traditional casting methods and coated with multiple layers of durable enamel coating, this heavy-duty 2.4 L cast iron casserole dish from Lodge is equipped with a tight-fitting lid that keeps the contents wonderfully moist during cooking. 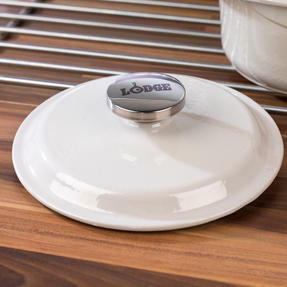 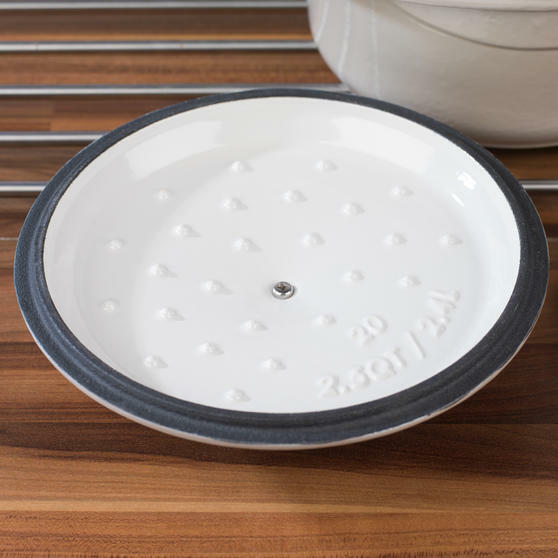 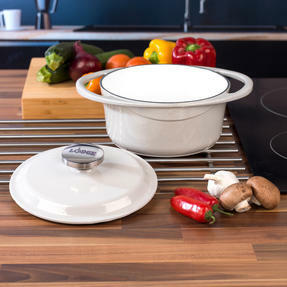 Perfect for family meals, this casserole dish has a convenient 20 cm diameter and can be used with all hob types, including induction. Stylish yet practical, the unit has a muted cream finish that is sure to blend in with the rest of your kitchen. 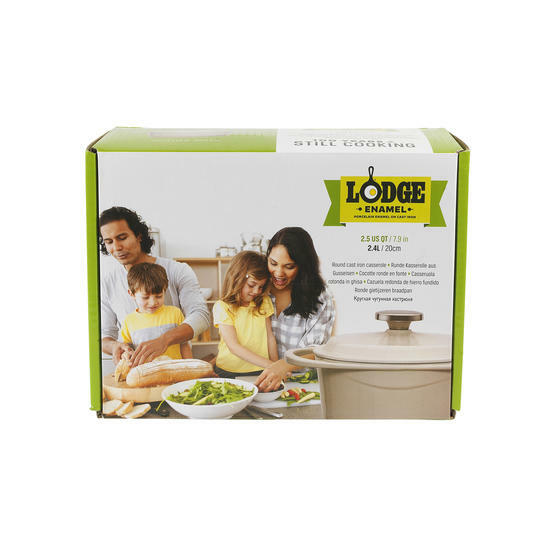 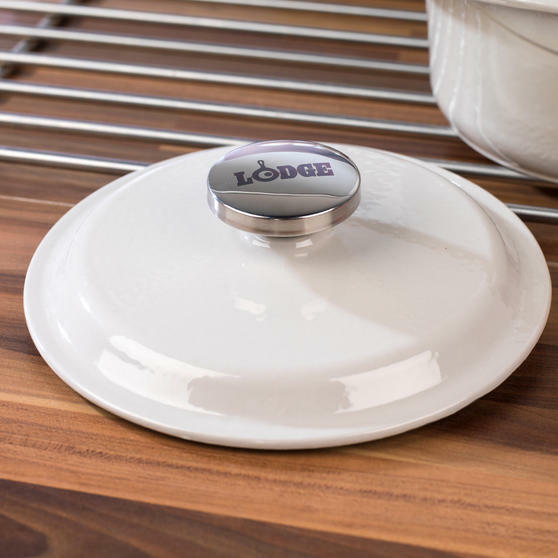 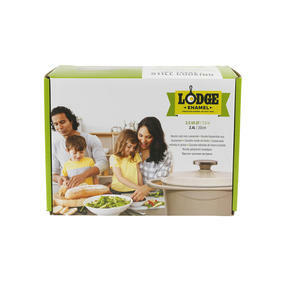 A must-have kitchen essential, this round 2.4 L casserole dish from Lodge is made from heavy-duty cast iron and comes with a handy lid. 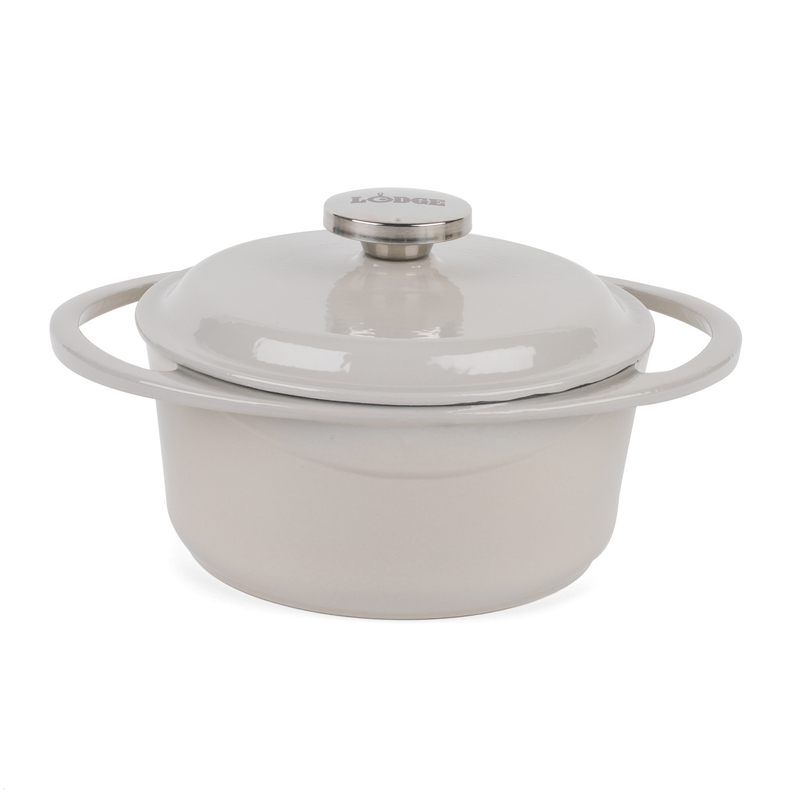 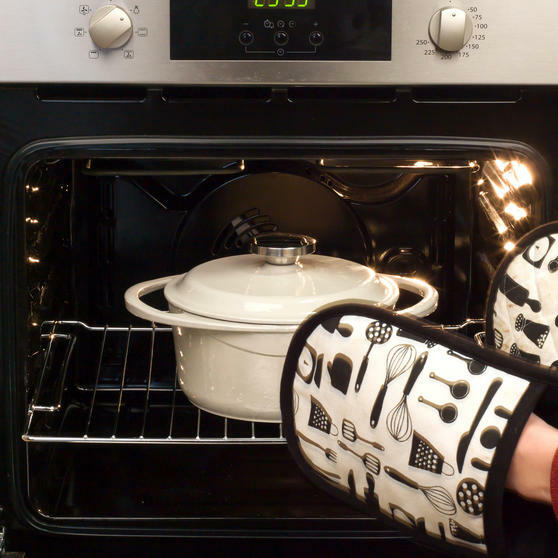 With a generous capacity, this practical 20 cm casserole dish is ideal for rustling up hearty stews and pot roasts for your guests. 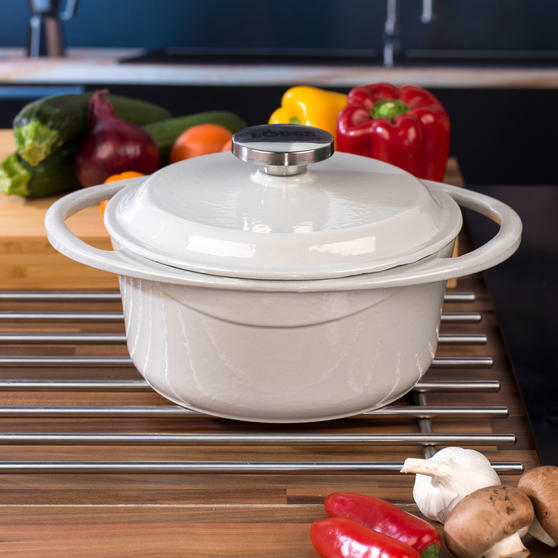 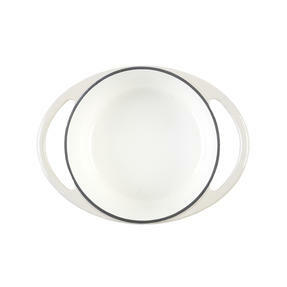 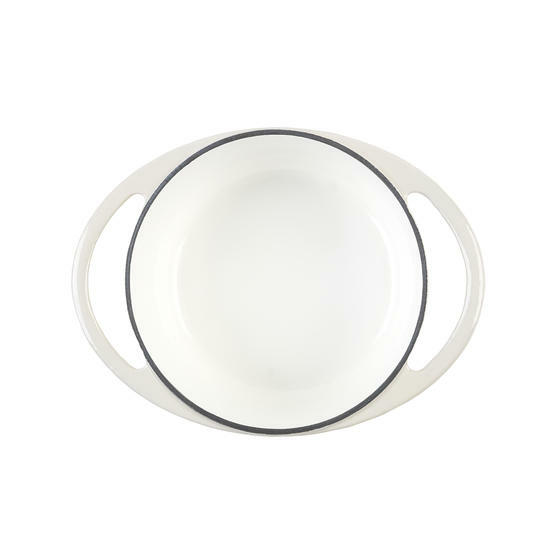 Featuring a stylish and functional shape, this sleek casserole dish has a lovely cream finish that will suit any kitchen aesthetic.